We did not make the Nielsen top 5 in Social Media. All the final ratings are from Showbuzz Daily. 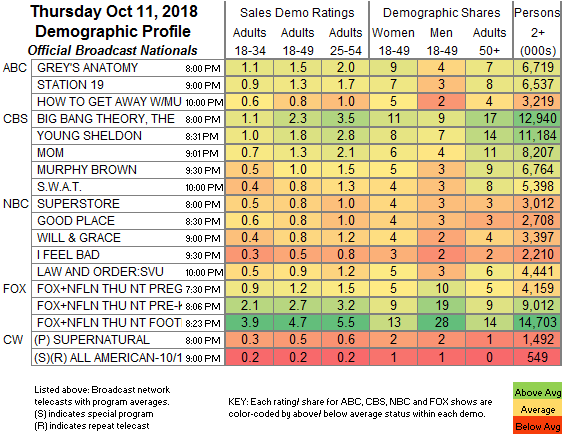 This is down from the live + Same Day ratings for last year's premier, which were 0.7 in 18-49 and 2.1 in total viewers. We tied at 2nd place in 18-49. If you factor in total viewers, we dropped to 5th place. This is still good for a 14 year old show.